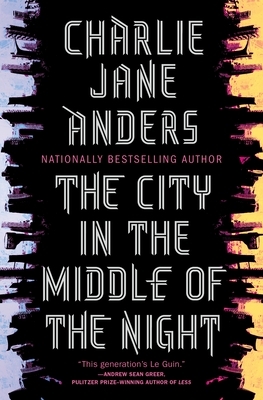 I can't imagine I'll read a more inventive novel this year than Charlie Jane Anders' "The City in the Middle of the Night," and yes, I'm fully confident saying that in January. Anders' newest book is all at once a rollicking adventure story, a world-building masterpiece, an anti-colonialism fable, and a subtly revolutionary treatise on climate change and its potentially devastating effects on a people, a city, and a planet. Plus, the story is filled with characters you'll love, from quiet Sophie who forms a wondrous relationship with a civilization of ancient creatures, to rough-and-tumble Mouth, the last of her race and set adrift by the prospect of living a new kind of life. This story will keep you riveted until the very last page.